After the last two books I read, I needed some light escapist fiction. I chose Abigail. A Novel by Jess Heileman, which was getting good reviews on goodreads. This clean Regency Romance is told from the perspective of Abigail Blakeslee, a young woman who missed her debut because of the death of her mother. Abigail is not a particularly social person, partly because of a secret in her past that needs to stay secret. However, her father and younger brother are determined that she find happiness, which means pushing her out into the world. For a start, Abigail is persuaded to accept an invitation issued by her aunt to join her cousins for the summer at the country house of the Stantons, a wealthy but untitled family. Abigail’s cousin Helena is as good as betrothed to the heir, Edwin Stanton. Abigail is not overly fond of Helena but she does like the younger cousin, Hannah. This small gathering is a good opportunity to polish her social skills in anticipation of the next Season. From the moment she arrives, Abigail is put off by Edwin, who is harsh, serious, and unfriendly. Helena fawns over him, excusing his ill manners. Edwin is attentive to Helena but not enthusiastic. He soon begins paying more attention to Abigail, though much of the attention seems critical, at least as Abigail interprets it. There are other houseguests as well, including the handsome, charming Lord Ramsey. (Everyone but Abigail can see his charm is false.) But he makes such a pleasant foil to Edwin that Abigail allows him to flatter her and finds herself flirting in return. Yet, as the days wear on, she finds there is more to Edwin than was first apparent. Moreover, Edwin’s sister, Diana, works tirelessly to throw the two of them together, much to the irritation of Helena and Abigail’s aunt. Helena and her mother grow nastier and more threatening as they become concerned Abigail is drawing Edwin away. 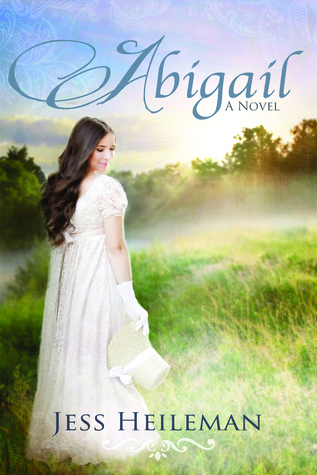 Abigail falls for Edwin, but tries to avoid him, since she has no intention of stealing her cousin’s betrothed. It’s clear to the reader that Helena and Edwin are a terrible match and that Edwin is much more impressed with Abigail. But Abigail is convinced Edwin loves Helena. (Helena is pretty, but her personality is so grating it’s hard to see why Abigail is fooled.) Even when she begins to believe Edwin may want her instead, Abigail refuses to be the cause of Helena’s broken heart. Finally, she discovers Helena does not love Edwin. But what does Edwin want? It’s a sweet story even if Abigail is a bit slow to pick up on what’s going on. Her own secret is eventually revealed. It’s rather a contrived bit of coincidence, but ties up the loose ends and allows for a satisfying happy-ever-after. This is a quick, light read, just the antidote I was looking for.